You just sat down at a table across from a complete stranger, and are each handed a dinner menu. It lists courses from Starters, Soups, Fish, Grills, to Desserts; but instead of culinary dishes, the menu proposes topics of conversation. The themes are not cookie-cutter ‘conversation card’ questions either; there are no trite small-talk openers such as your favorite movie or dream travel destination. Instead, the menu presents an array of stimulating, thought-provoking topics ranging from ambition to idleness, success to failure, friendship to isolation, joy to fear. You and your dinner partner, your ‘muse,’ are ready to discuss and explore each of these questions throughout the meal at your own pace. It might last two hours, or four; maybe six. It depends on mutual open-mindedness and willingness to share. By the end of the meal, you may have gotten to know a stranger very well, and have come to profound realizations about yourself too. This is the gist of what a Conversation Dinner, a concept conceived by a man named Theodore Zeldin, involves. Theodore Zeldin is an Oxford scholar and thinker who created The Oxford Muse Foundation in 2001. This organization envisages new methods to improve personal, professional, and intercultural relationships in a myriad of ways. Its vision extends to reshaping the workplace, family, relationships, and education on a global scale. (I won’t go into detail about it here because you can understand it better yourself by browsing the website, which has some fantastic food for thought. Definitely worth 20–30 minutes of your time). 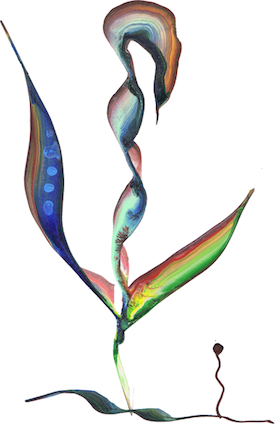 artwork by Zeldin, taken from his website. What I find particularly intriguing is the Muse’s aim to rethink the ways in which we communicate with and understand one another. 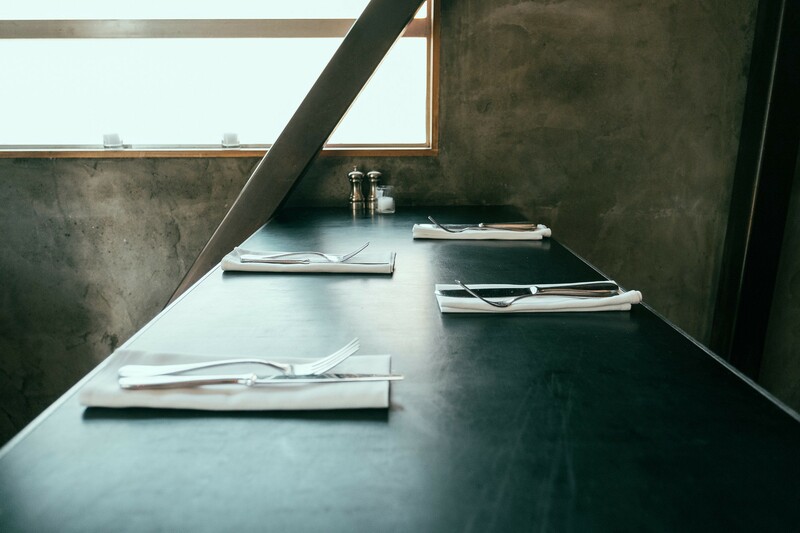 It responds to the superficiality of much social discourse by organizing Conversation Dinners that transcend traditional conversation norms — those interactions that are limited by etiquette or social custom, or serve merely to pass the time. 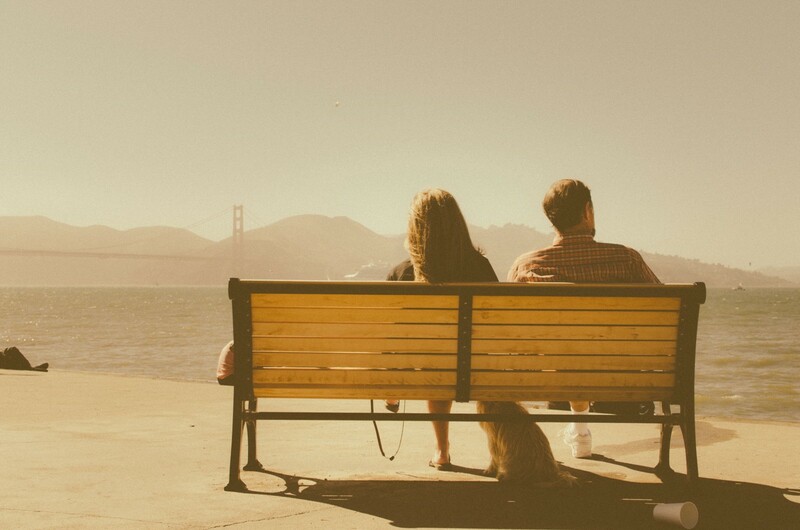 Two strangers, without the preconceptions of friends or acquaintances, engage in frank and meaningful conversation to exchange and transform perspectives. It is not so much a simple conversation as a meeting of minds. The Oxford Muse Foundation itself holds Conversation Meals in a number of countries, oftentimes in partnership with different corporations. Universities and independent organizations hold their own events as well; the Muse invites collaboration with virtually any institution. I first learned about Conversation Dinners, The Oxford Muse, and Theodore Zeldin’s work in late 2013 from one of my good friends. He later proposed organizing some Conversation Dinners ourselves, and got in touch with Zeldin. After a Skype session (yes, an 82 year-old man who readily proposed Skyping to talk; we were pleasantly surprised and impressed), Zeldin wholeheartedly encouraged the initiative and supplied us with the 25 Conversation Menu questions, some advice, and other materials. And off we went. A Conversation Dinner isn’t too high maintenance of an event — all you really need is a setting in which people can converse privately in pairs, refreshments (although conversations are typically organized around an actual meal), and of course the participants themselves. In our events we paired people randomly, ensuring that two muses did not know one another. We gave minimal instruction so muses were encouraged to interpret the menu for themselves. We were initially apprehensive that some pairs would move through the questions too quickly, but most muses ended up chatting away into the night. As an organizer, it was captivating to simply observe the pairs; how the room gradually warmed as people opened up and became more animated; how a room initially full of strangers transformed into the likes of a boisterous gathering of friends. And no one did it but the participants themselves. Isn’t this whole thing just like speed dating or blind dating? Not at all. Quite a few participants had this misconception before attending a Conversation Dinner. Firstly, muses stay in their own pairs throughout the event; there is no swapping or progressing to the next partner, as the focus of the meal is to thoroughly explore the menu with one person. Secondly, we do strive to pair those of opposite sexes together, but for the purpose of diversity and the possibility of more contrasting worldviews. This was advised by Zeldin, as it follows one of his visions to create friendlier relationships between sexes by fostering better awareness and communication. Most importantly, the objective of a Conversation Dinner is not to simply meet people. It is to fully engage yourself in a respectful, meaningful conversation, to understand another person in a new way. 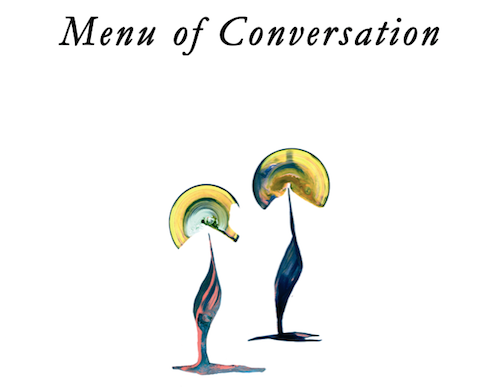 So…what exactly does a Conversation Menu have inside? Zeldin wrote the menu himself and does not post it publicly online for good reason, as the whole concept of Conversation Dinners is more than a game. The questions are also thoughtfully ordered to cover topics that grow more abstract and profound as the menu progresses. What is it like being a participant in a Conversation Dinner? I sat in as a participant for one of the Dinners we organized since we had an odd number of people, and was thrilled to experience it firsthand. My muse was a student in his mid-twenties from Poland; we were both a little reserved in the beginning, but after a couple questions the melting of the ice was palpable. As we made our way through the Menu, he gradually unwound his story of how he and his brothers grew up in post-communist Poland, and immigrated to England when they were teenagers in hopes of finding better lives and work to support their mother. He knew little English at the time; ostracized at school due to his foreign background, he focused on listening to music to improve his language skills. His favorite artist is Madonna. He also loves to dance. He was generally a private, closed-off person, and surprised himself at how easily he could share his perspectives with a complete stranger. It could have been anyone. As for me, I found myself speaking from some of the innermost corners of my mind, places I had not visited in awhile; I felt I could reveal more about myself to this person who didn’t see me grow up, or know who I was a few years ago. Hell, he didn’t even know who I was the day before. And I felt myself consciously trying to see things from his perspective, his world. Contemplating the various topics together was unlike any conversation I had. Most conversations nowadays are one-sided, involving one party simply waiting for his or her turn to speak. The Conversation Dinner was something else. It felt like a joint effort to speculate and explore themes shared by all of humanity; understanding each other was an integral part of the process. It was a meeting of minds, both open to transformation. What struck me the most as our conversation progressed was our shared realization that we, two people from vastly different backgrounds and upbringings, had so much in common in our life perspectives. We connected, we laughed, we swapped anecdotes; we explored topics of friendship, isolation, failure, family, society’s impositions. By the end of the evening, I had gotten to know a complete stranger on a level on which I don’t even know some of my friends. That is the beauty of a Conversation Dinner. I left the event — I think everyone did — with an eye-opening experience that was truly one of a kind. The effects of the Conversation Dinner didn’t end with the last question on the menu. I still contemplate Zeldin’s vision behind the dinners — and why it works so well. By casting away the preconceptions, the trifling small talk, the attempts to impress — we are stripped down to who we really are. We can converse freely. This is the humble reminder that we are all human. With that, one can see how Conversation Dinners — and the same type of frank, meaningful conversations in general — transform the ways we communicate with those around us. This applies not only to everyday social situations, but also those in the context of family, education, and the workplace. It ultimately generates understanding and productivity between individuals. 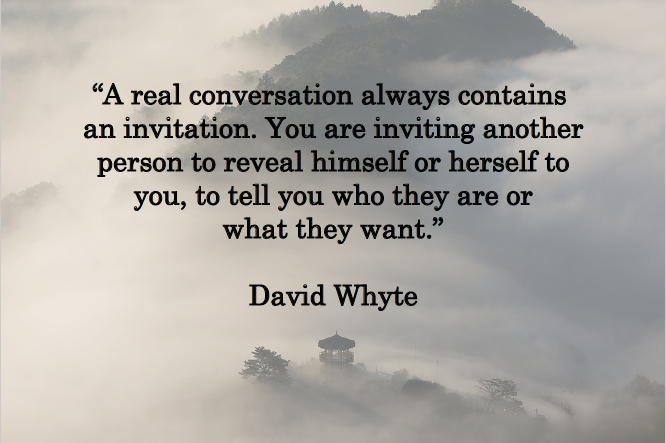 Authentic conversation unites us. When we lower our façades and open our minds to the perspectives of others, we allow ourselves to connect and work together on a level we never have before. This is the ground on which we should proceed in all aspects of our lives. When was the last time you had a real conversation? Software engineer, sound gobbler, lifelong learner.